He is an experienced independent workplace coach, people and organizational development consultant, group facilitator, blogger and author of Learning to Leap, a guide to being more employable. Well known in print and online, David has contributed to the BBC on leadership, Forbes magazine on career issues and the Guardian newspaper’s online careers panel for Q&As. He is a regular guest blogger for YouTern.com and UndergradSuccess.com, and has been listed by YouTern and CareerSherpa in the top 100 Twitter accounts job seekers are advised to follow for 2013. He is the founder of The Employability Hub, a social learning community and resource center for students and recent graduates, supported by a handpicked group of experts and specialists in the core areas that all employers want. He is an active volunteer with Youth Employment UK, a campaign to tackle the youth unemployment challenge and to encourage more youth-friendly employers (including the promotion of ethical internships). David is married with three daughters and lives in Yorkshire, England, where he enjoys playing golf and hiking in the Dales. 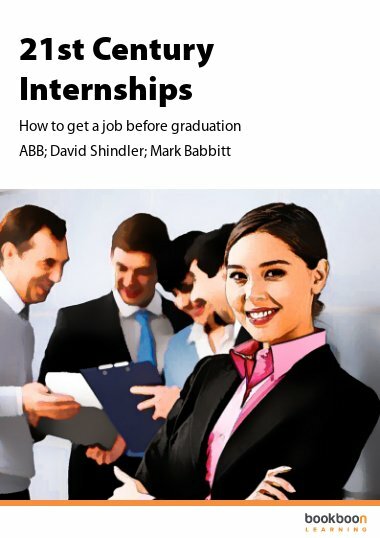 Mark Babbitt is the CEO and Founder of YouTern, an online community that enables young talent to become highly employable by connecting them to high-impact internships, mentors and contemporary career advice. Already making a major impact in the career space, Mashable calls YouTern a “Top 5 Online Community for Starting Your Career” while Forbes has named the Nevada start-up a “Top Website for Your Career”. A serial mentor, Mark has been quoted in Inc., The Wall Street Journal, and ReadWriteWeb regarding career development, internships and higher education’s role in preparing emerging talent for the workforce. A keynote speaker and blogger, Mark’s contributions include The Huffington Post, 12Most.com, Switch and Shift and Intern Advocate. Mark has been honored to be on GenJuice’s list of “Top 100 Most Desirable Mentors”, HR Examiner’s “Top 25 Trendspotters in HR” and CareerBliss.com’s list of “Top 10 Gen Y Experts”. He and YouTern’s blog, The Savvy Intern, have been named to several top blogger lists, including JobMob’s “Top Career Bloggers of 2012”. Mark is the father of five children, a grandfather of two and spends his spare time fishing his favorite trout stream by his home near Lake Tahoe.